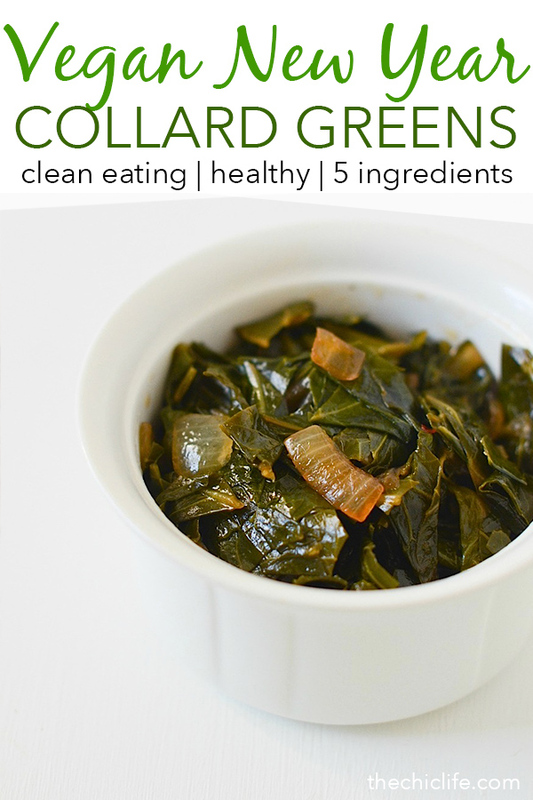 I really love eating collard greens. They’re so delicious and so good for you too! 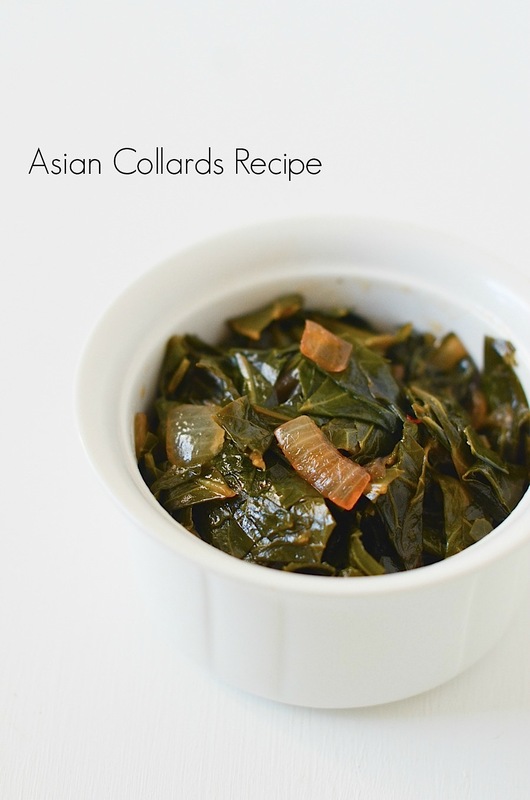 When I’m low on groceries, I like to make this Asian Collards recipe. Normally, I’ll cook the collards with a little broth. But when I don’t have any, I’ve found that water with a bit of soy sauce gives it a nice, rich flavor without too much work. I like to rip the sides of the collard green leaves off. Then I stack the halves and cut these into 1/2-1″ strips. You can also cut them further in more square-ish pieces. 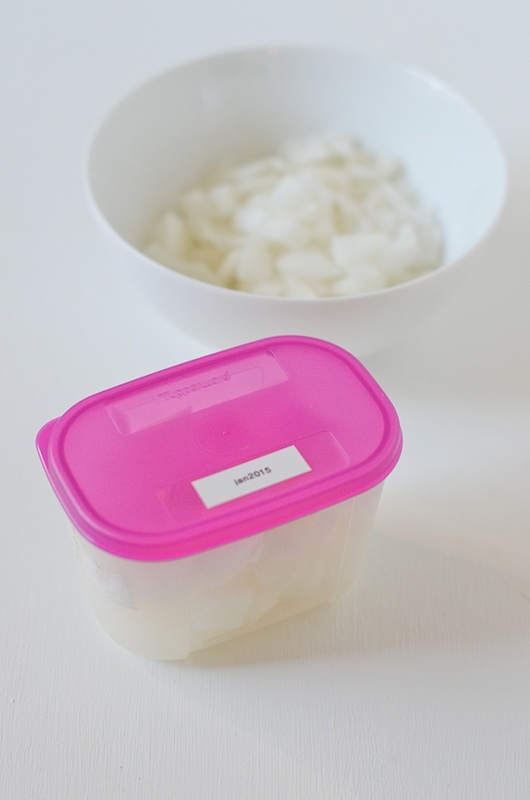 Tip: Put a label on the container with your frozen onions so you know how old they are. I actually shot this recipe a long time ago, but I’m just getting around to blogging it. I usually only need 1/4-1/2 of an onion, depending on how big the bunch of collards is. You can freeze the rest of the chopped onion. Or, if you have leftover frozen onion from your last batch, I find the frozen onions work well in this recipe. They’ll mostly cook down and get pretty soft anyways. This is the only downside of frozen onions. You kind of lose that crisp-tender texture I love in stir-fries. 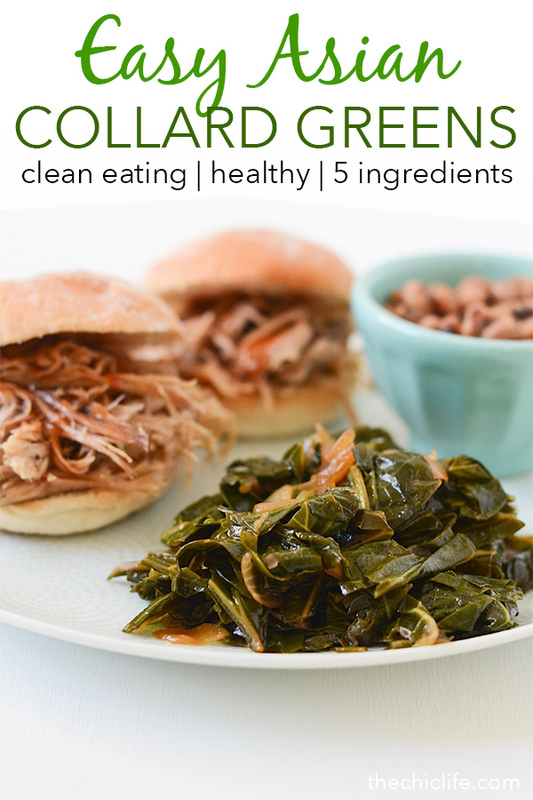 You pretty much need about 1/4-1/2 teaspoon of soy sauce for each cup of collards. The amount really depends on your taste buds, though I’ve listed some guidelines below. I think your best bet is to experiment with this recipe until you get the soy sauce amount just right. Of course, there’s always the challenge of collards varying in size so much. But, this is a pretty forgiving recipe. Remember, you can always add more soy sauce, but you can’t take it out once it’s added. Is it just me or is almost every collard greens recipe made with a ham product? 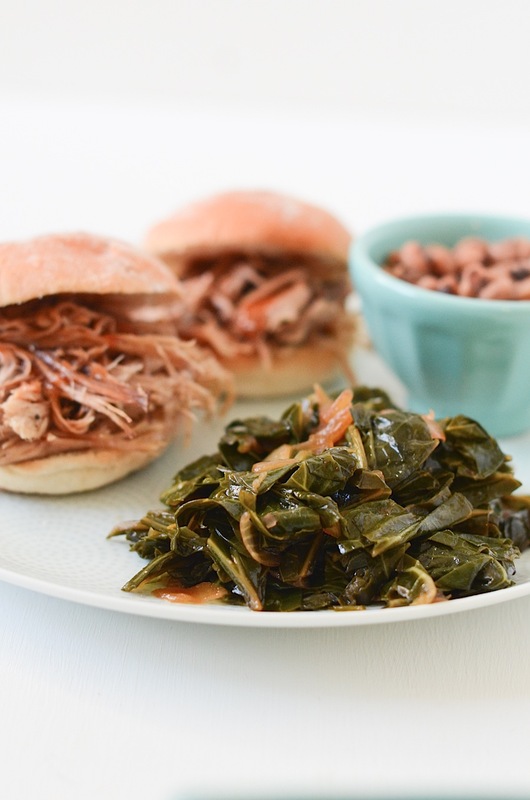 Delicious collard greens are possible without any meat products. This recipe is naturally vegan – no alterations needed. Woop! 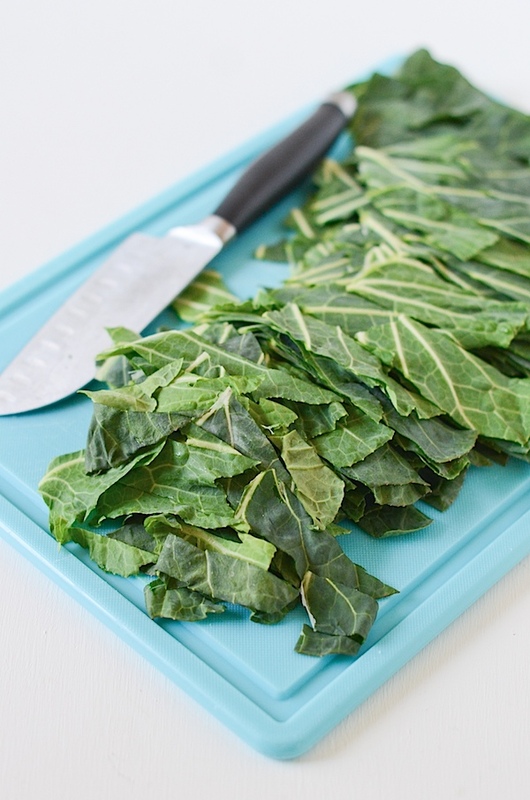 When you’re out of broth/stock, here’s a new way to easily add flavor to collard greens. This is a pretty flexible recipe. 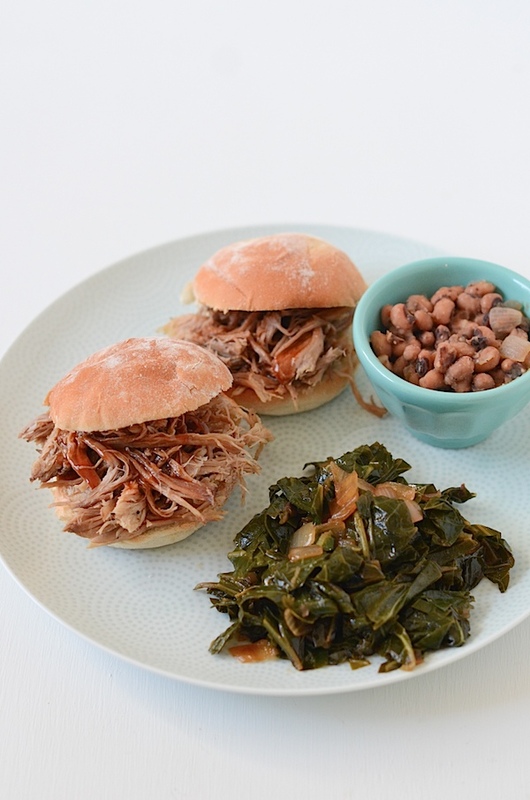 Adjust the amounts of onion, collards, water, and soy sauce to your liking. I like to start with a smaller amount of soy sauce than I think I need and slowly add more as I taste-test through cooking. 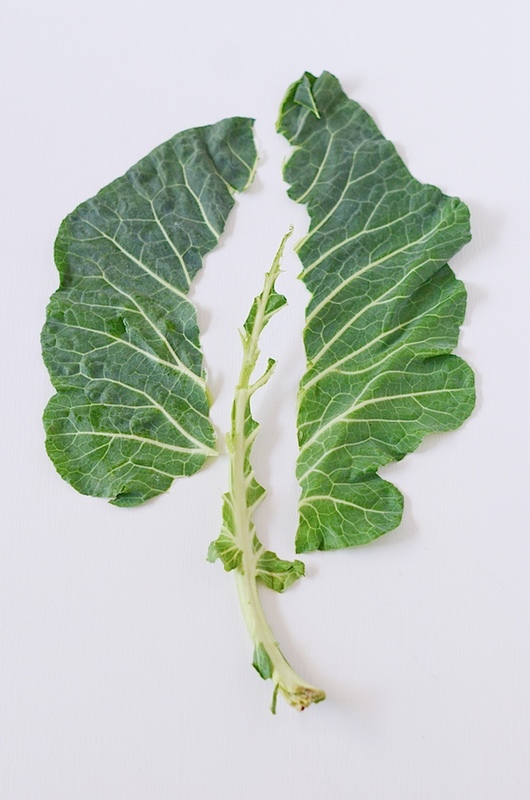 I like to cook collards for a relatively short time, but feel free to cool longer if you want a more tender texture. Enjoy! Pre-heat olive oil in a medium pot over medium heat. When the oil is ready, add the onions. Cook until they’re just tender, about 3-4 minutes. Add garlic, stir, and cook 60 seconds or until fragrant. Add collards, water, and soy sauce. Stir to combine. Cover and cook until collards are tender, stirring occasionally, about 20-30 minutes. Taste test and add additional soy sauce and fresh black pepper, as desired for your flavor preference. Tip: Be careful adding the soy sauce. I like my food on the salty side, but you can easily overdo it with the soy. It’s super easy to add more and almost impossible to dilute once added. 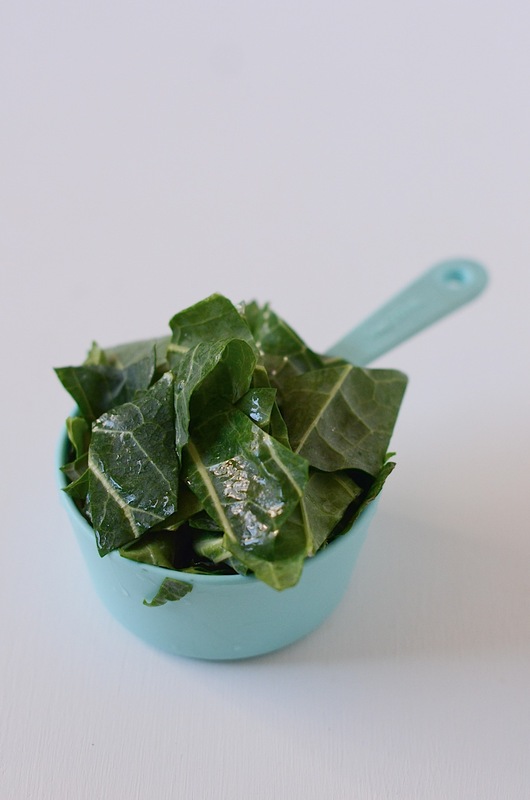 Tip: I find about 1/4 – 1/2 teaspoon per cup of collards is about the right amount for me. In addition to normal dinners, I’ve made this for some New Year’s meals. Collards and black eyed peas are good eats for the new year. I like to pair them with pulled pork BBQ sliders. Yum! Hope you like this Asian Collards Recipe. Thanks for stopping by!